A gas mask is a tool that keeps poisonous gas, dust, and other dangerous particles from getting to your nostrils and mouth. When you come across a girl with a gas mask on her face, don't you think she looks charming in a decadent and dark sort of way? Aren't you curious about what kind of expression is hidden under that mask? 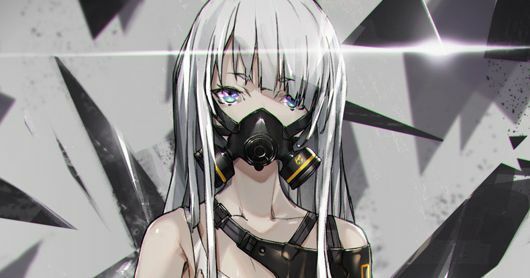 Today we are featuring illustrations of girls wearing gas masks. Please enjoy!